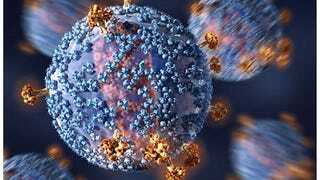 On Wednesday, the Food and Drug Administration approved a treatment that genetically modifies a patient’s own blood cells in order to attack childhood leukemia, a landmark decision opens the door for an era of FDA-sanctioned human gene modification. Some of those patients, though, did eventually relapse after several months. And the drug comes with serious side-effects, including a reaction known as cytokine release syndrome, that can prove fatal if not controlled with immunosuppressant drugs. Novartis did not disclose how much it intends to charge for the game-changing drug, but analysts have projected it will likely cost hundreds of thousands of dollars for a course of treatment. On Twitter, FDA commissioner Scott Gottlieb called the approval historic. “Today is an important milestone in a long journey to transform clinical medicine using modern advances in genomics,” he said.